Tonneau Cover fits Classic Motor Carriages, Fiberfab, and Daytona MG TD Replica's. 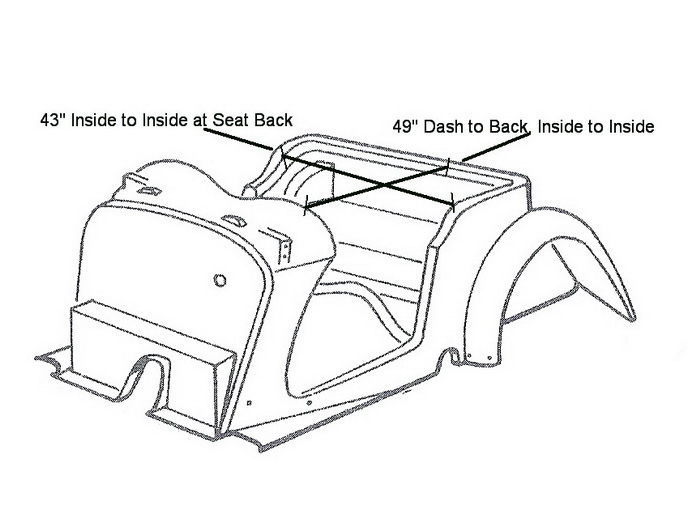 The Tonneau Cover may fit other Manufactures, but check the dimensions pictured below. Snap Kit is included with the purchase of the Tonneau Cover. Click the button below to add the Convertible Top Tonneau Cover, MG Replica to your wish list.